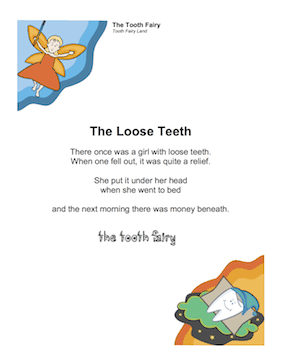 Place this poem under your daughter's pillow, along with some money, and she's bound to feel like the Tooth Fairy likes her most of all. There once was a girl with loose teeth. When one fell out, it was quite a relief. and the next morning there was money beneath.